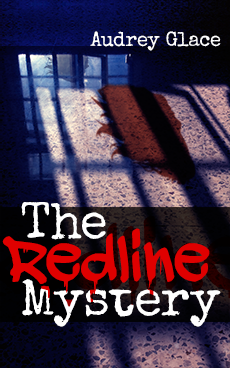 3/17/15 The Redline Mystery is a bestseller*! SAFE MIND IN A SAFE BODY, says the rusty sign hanging above the Redline Sanitarium gates. The thick ramparts topped by sharp spikes have something different to say. The ramshackle asylum, housing five difficult mental patients and a skeleton staff, is perched at the top of a harsh cliff overlooking the Black Lake. This is where Officer Milena Hart brings a suicidal young man on a hot Texas evening. After delivering her patient into Redline custody, Milena stays at the sanitarium overnight. Much is unnerving about the creaky old mansion in the middle of big sky nowhere, surrounded by the thousand eyes of the prairie and the fumes rising from the dark waters. Milena alternates between feeling cozy and disturbed, settling on the latter when a strange old woman warns her to beware the demon wolf out on the prowl. Everything considered, Milena is looking forward to leaving the next morning—but she has counted without the Redline. During the physicians' dinner, the new patient reattempts suicide, or at least the staff are satisfied to believe he does. Small things about the incident do not add up to Milena's satisfaction, and there is a trace of rot in the air that convinces her to stay behind and uncover the Redline mystery. [It appears your web browser is not configured to display the embedded PDF book sample. All content © 2015 Audrey Glace. All rights reserved.